Engage prospects & customers Optimize your customer life-cycle from initial engagement to retention and loyalty with automated outreach in each step. Let Act! Marketing Automation do the work for you with response-driven nurture marketing campaigns— all sent to targeted lists in Act! automatically. Campaigns are triggered based on criteria you define, leading recipients down a highly personalized path. Optimize your customer life-cycle from initial engagement to retention and loyalty with automated outreach in each step. Let Act! Marketing Automation do the work for you with response-driven nurture marketing campaigns— all sent to targeted lists in Act! automatically. Campaigns are triggered based on criteria you define, leading recipients down a highly personalized path. Optimize your customer life-cycle from initial engagement to retention and loyalty with automated outreach in each step. Let Act! 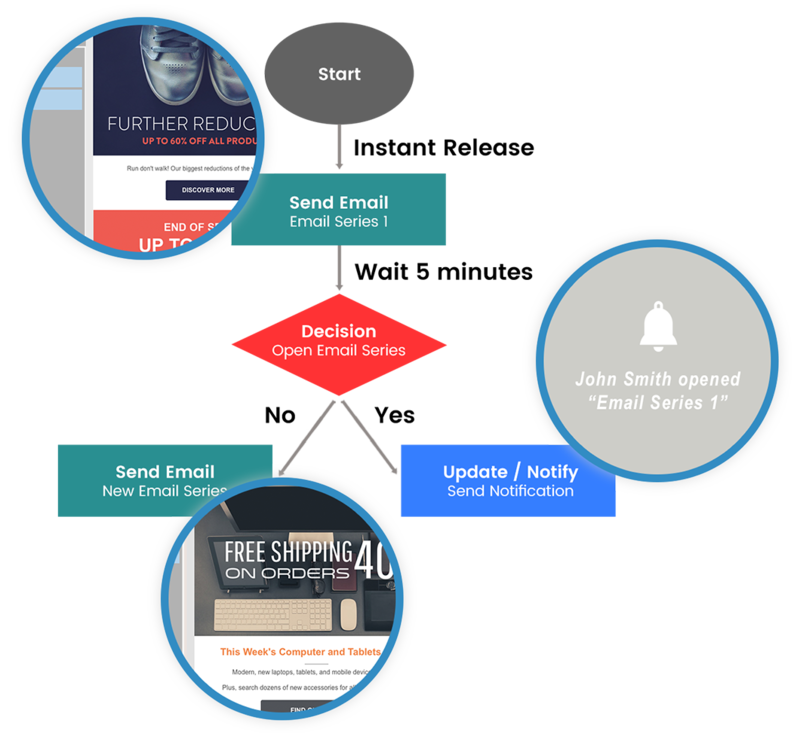 Marketing Automation do the work for you with response-driven nurture marketing campaigns—all sent to targeted lists in Act! automatically. Campaigns are triggered based on criteria you define, leading recipients down a highly personalized path. 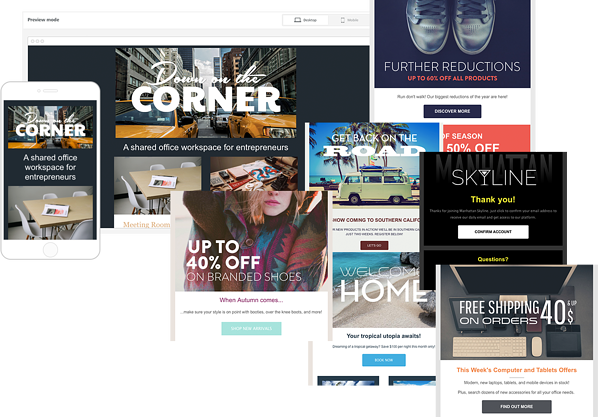 Create beautiful, mobile-friendly email campaigns with the interactive template editor where you can customize colors and fonts, and add free, high-quality stock photos from a library of over 500,000 options. Start with one of 25 sample templates or import and edit your existing HTML templates with the WYSIWYG editor. Setup custom nurture streams with the visual campaign workflow designer, providing a graphical representation of your communication flow. Understand what’s working and how you can improve your marketing strategy over time with real-time metrics covering opens, clicks, and comparative stats per campaign. Individual campaign results automatically push to Act! 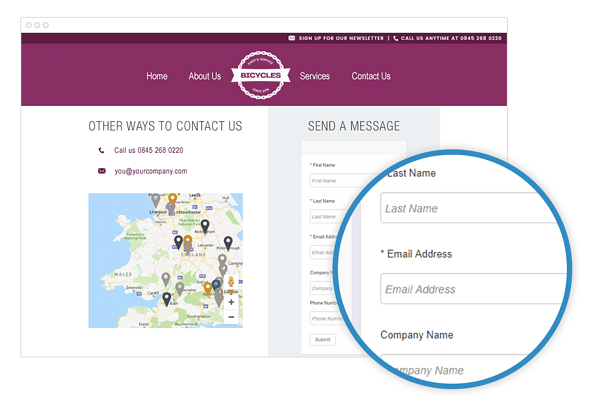 contact records for a detailed interaction history. Perform A/B tests to pinpoint your most impactful subject lines and content to continually improve the effectiveness of your campaigns. The benefits of marketing automation Key features of marketing automation software? How to choose marketing automation software. 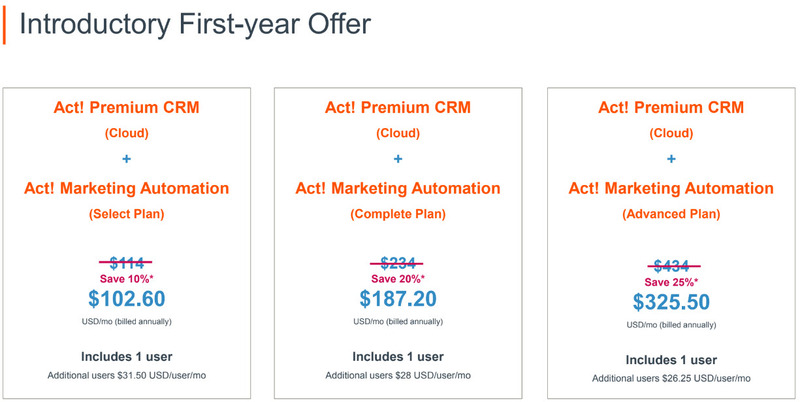 Get both CRM and Marketing Automation at a great pricewhen you choose the Act! Growth Suite! Julie, our ACT! certified consultants work with you to get the most out of the ACT! CRM based on your specific business needs. Success Stories and Tips Start Marketing More Effectively NOW! Why should I consider e-Marketing?